Soar above the clouds of sadness and grief, find joy in today…. Christine Northrup, a medium and shaman based out of Saratoga Springs, NY has 20 years of training in various healing techniques. Christine is a graduate of the Four Winds Light Body School, where she embraced her Shamanic studies. A Reiki practitioner since 1996, she has been a Reiki Master teacher since 1999. Today, Christine works with clients out of her office in downtown Saratoga Springs, and also offers remote healing sessions to clients worldwide. 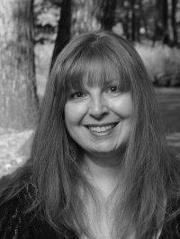 Christine specializes in pulling up the roots of inner sadness and grief. Honoring what is buried and releasing it to find joy again. Discover how to let go of what is holding you back from true inner happiness.